Veleza Has Just Won Startup Battle of LOGIN Startup Fair 2017! Startup Battle final has just closed annual LOGIN Startup Fair. Main prize, 3000 Eur powered by Triniti won Veleza. Second place with 2000 Eur won LitNet and Tellq stayed third with 1000 Eur. Veleza is social technology platform connecting beauty product consumers, brands and retailers. LitNet is a platform which provide a model when readers follow the updates of the book and pay for access to such following. And Tellq helps companies not to lose a customer’s call. 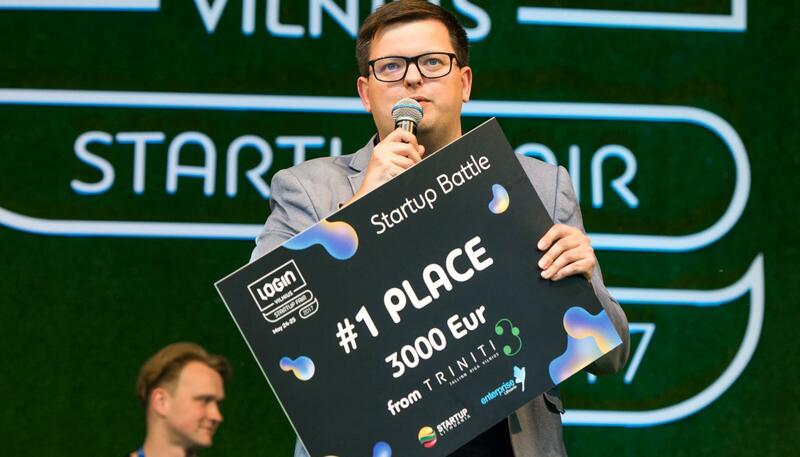 Three Startup Battle semi-finals yesterday took place in main LOGIN Startup Fair stage, where 30 startups was pitching for the main prize. The jury has selected 9 startups: Exponenta, Fansy, Tellq, Litnet (Lit-Era), Tvori, Veleza, Distribyte, SwitchRTC and Yellow Hammock that competed today in the Startup Battle Final. The jury consisted of Donatas Keras, Partner at “Practica Capital”, Peter Holten Mühlmann, CEO of Trustpilot, Don Ritzen, co-founder of Rockstar, Zvika Kezurer, Chairman at The Israel Lithuania Technology Hub, Linas Sabaliauskas, Managing Partner at Triniti, Zaya Kadyrova, CEO at Technology Venture Capital, Darius Žakaitis, CEO of Vilnius Tech Park, Wlodek Laskowski, investor & EiR with Mobility Ventures, Ekaterina Gianelli, Investment Director at Inventure, Haakon Brunell, Managing Partner in Katapult Accelerator. Startup Battle is the main startup competition happening for the fifth time during LOGIN Startup Fair. LOGIN Startup Fair aims to become the central startup orientated event in the region, attracting 100+ selected startups, 50+ local and international venture capital investors as well as creating 1000s of networking opportunities each year.